30/60 Day Notice Required Language AB 2521 - Changing Section 1946 of the Civil Code. Elder or dependant adult abuse and human trafficking SB 612 - Current Law. Smoke Alarms SB 745 - New generation of smoke alarms - Effective July 1, 2014. Inside Phone Wiring SB 745 - Modification to the law: must comply with CA Electrical Code. Recycling of Solid Waste AB 341 - makes recycling a state mandate. 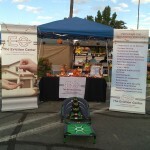 There was a farmers market and harvest festival for the community in the City of Hemet. This was a great opportunity to meet vendors that help build our community and businesses. Children and adults were encouraged to come out in costume and interact with businesses that are a staple of the community. 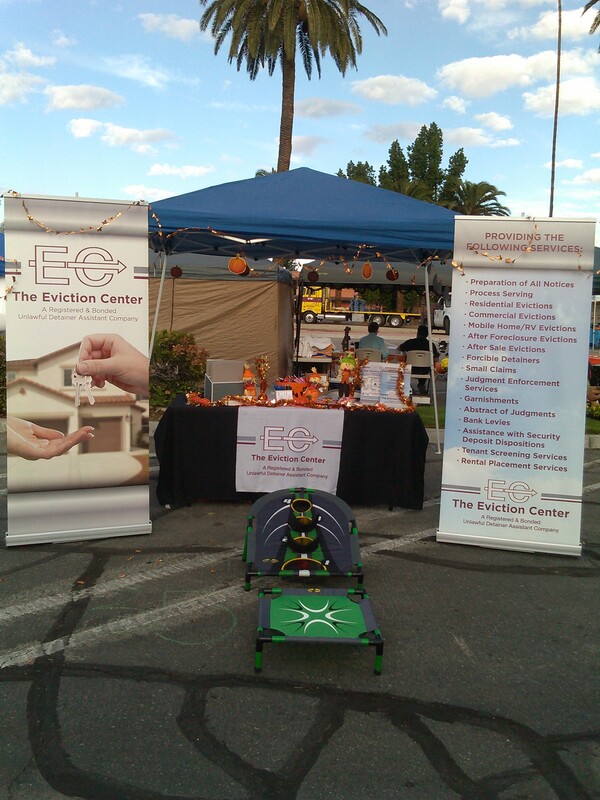 The Eviction Center had a booth with information regarding eviction services, eviction process, eviction laws, and also had a fun game of “go-getter spring fling” or “trampoline skee-ball” to win fun prizes. The Eviction Center wants to help educate those in the community about eviction services, Unlawful Detainers, habitability, sheriff’s lockouts, and more. We want to thank all who came by the booth! This entry was posted on Sunday, October 26th, 2014 at 8:19 PM	and is filed under Events. You can follow any responses to this entry through the RSS 2.0 feed. You can leave a response, or trackback from your own site. Copyright © 1999 The Eviction Center. All Rights Reserved.